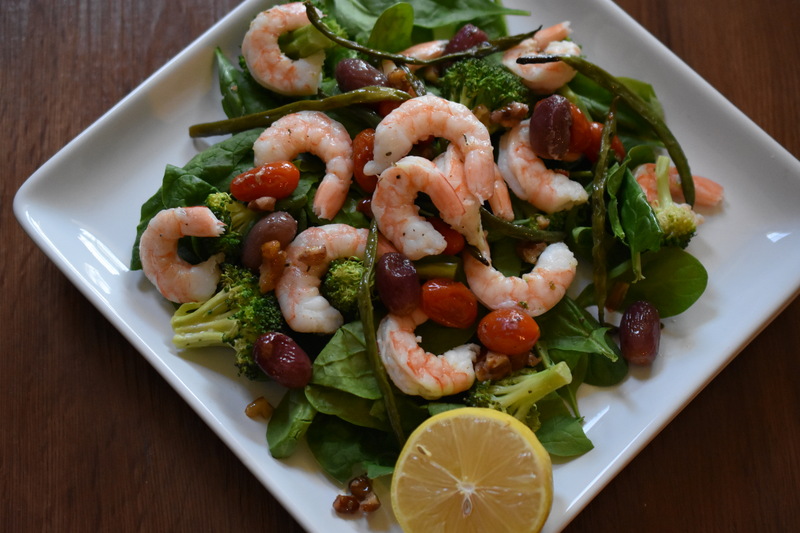 This salad is another quick, flavorful easy to put together meal. I love when I have already done most of the work the night before. It took 5 minutes to assemble this salad with nutritious ingredients. The veggies and grapes flavors are intensified by the roasting process. Each bite burst with exceptional deliciousness. With the exception of the spinach all the ingredients have been cooked. The ingredients are from two different sheet pan meals I made recently. Both the meals were delicious on their own, yet are amazing combined together. Divide ingredients between two plates. Squeeze lemon over salad. Serve. Eat. Enjoy. Thanks. Easy to put together.